Haley Skimmer – Glock ON! Although I had never considered myself a “Glock man” there was a time where a Glock Model 17 served as my primary sidearm, and I liked it. Then my relationship with the Glock, for complicated reasons, came to an end. Not long after I became a “1911 man”. Yes, the “nothing but a 1911 for me” type that many of you may know, and perhaps even hate. Seasons changed and I found myself living and working in an environment where 9mm was the common currency and a 1911 was not to be had. Strange days these were, and I had no other option but to fall back on the Glock when I was lucky enough to get my hands on one and make do with whatever else when one was not. One fine day I returned to the United States and was reunited with my coveted 1911. All was well until I came to realize that I wasn’t shooting nearly as much due to the rather ridiculous rise in expense of shooting 45 caliber ammunition. I decided that I needed to reevaluate my “major caliber” stance and contemplate a firearm of the 9mm variety. I have to admit that I thought about this way too much in retrospect, because my first instinct was to go back to Glock. However, a few firearms had grown on me that offered a bit of what I liked about the 1911. I tried briefly to make a case to myself for the Browning Highpower but for various reasons moved on to the Springfield XD. The XD was a phenomenal natural shooter; however it gave me issues when attempting to max out my rate of fire. The reset of the trigger was too unfamiliar and I felt that it would take a considerable amount of time and reps acclimate. I tried to love the XD, but to no avail. I was considerably frustrated by this conundrum. Almost everything felt right about the XD aside from the trigger at a heightened rate of fire. 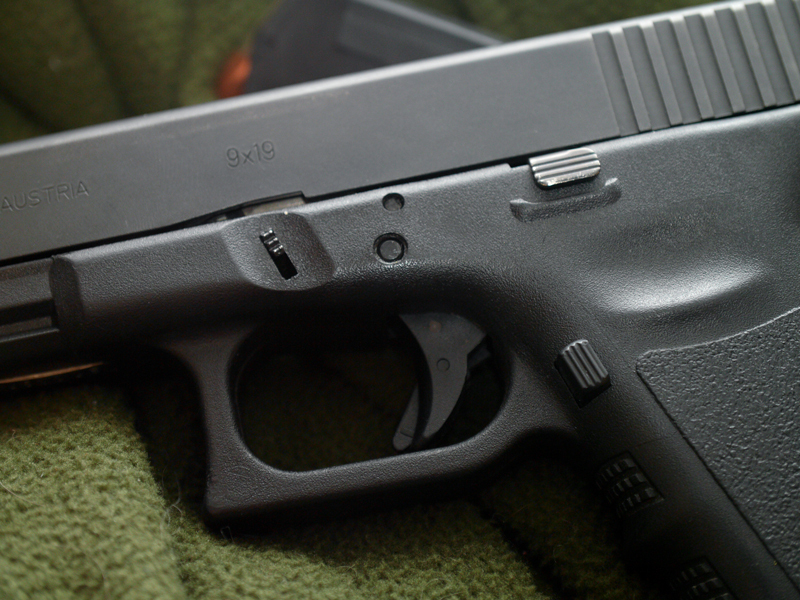 The damn trigger… This brought to mind my love hate relationship with Glock. There was actually little that I didn’t like about Glock, aside from the trigger. I was bitching up a small storm one day in regards to this very matter when a Glockster friend offered that I try out one of his Glock race pistols with… some manner of trigger job. I tried and failed with this weapon for whatever reason. It had some variety of high visibility sights that also didn’t seem to work for me and the trigger seemed much like the many other trigger job race Glocks that I had been offered at some point to shoot in the past. The suggestion of a modified trigger had done nothing to sway me back towards Glock. It did do one thing for me however; it sent me to the internet. Hell if I recall what I might have googled, but the next thing I knew I had landed on the HALEY STRATEGIC YouTube channel and was listening to talk about this signature trigger that offered “the feel of a 1911 trigger in your Glock”. I suppose that it was this seemingly tall claim that got me to click on the video but as I watched I was overcome by the impulse to find out for myself just how true this claim might be. It was rather interesting because I had stumbled upon this video just shortly after it had been posted. This put me in an early adopter position, which is in some ways is typically a position to be avoided if it is a product that you might elect to put your life on. I found that the product was produced by Glocktriggers.com and for as little as I personally knew of them; I was at least vaguely familiar with the company’s reputation. Priced at 160 bucks (approximately the same money I dropped the last time that I went shooting my 1911) I asked myself what I had to lose. Although I had little to lose I still had something to acquire, that being a Glock. As I didn’t want to pull the trigger on a Glock purchase until I had pulled the Skimmer trigger, a few arrangements had to be made. A friend (and Glock Armorer) offered to loan me his Glock 17, granted that I allowed for him to try this new trigger as well. A deal was struck and a few days later we were popping pins, pulling springs and a few minutes later I was ready to face the moment of truth. I pulled back the slide and as I watched as the trigger reset I knew that I had actually found something substantially different than any other aftermarket Glock trigger that I had ever been introduced to. I dry fired it repeatedly, feeling the trigger reset several more times before handing it back to the individual who had just help me assemble it. I must have tested it a few times too many, enough to arouse some manner of suspicion. When I handed the gun to him he looked at the trigger and said, “What’s wrong with it”. 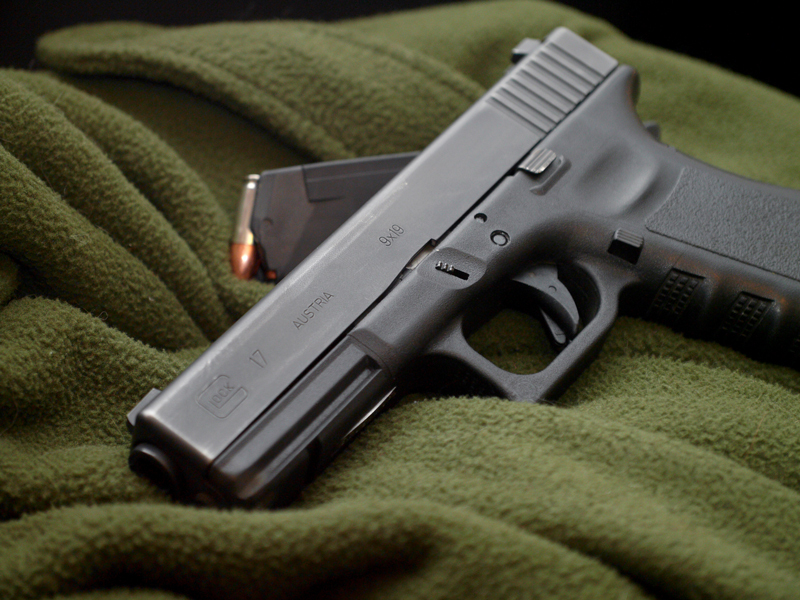 (And yes, if you are a Glock guy you can tell, just by looking at it.) “Nothing wrong”, I replied. He dry fired the weapon and looked it for a moment, “pre-travel reduction” I said. As my friend dry fired the weapon several more times, we were both were shaking our heads in moderate disbelief. I couldn’t load the magazines fast enough; I just wanted to keep feeling that clean break and short reset. Every shot felt more positive and each hit was delivered with incredible accuracy! Suddenly the Haley Skimmer product description was reading with a lot less dot-dot-dots! So, what about the 1911 part? I may be letting many of you down if I do not comment directly in regards to the 1911 likeness of the Haley Skimmer and I have not commented directly in regards to this matter yet. So, here is the skinny. What you should know is that the Skimmer is NOT in the literal sense a 1911 trigger for a Glock. The Haley Skimmer IS a Glock trigger, which has been modified to drastically reduce the unsavory pre-travel of the factory Glock trigger and to provide an incredibly smooth and clean break, thereby making it more 1911 like. In short, THAT is what it is and that is what it does. If for whatever reason you were hoping that it was something other than that, it is not. If you want me to draw you some manner of… other bottom line. The Haley Skimmer was enough to make this “1911 man” also a “Glock man”. And, I am very glad of it!